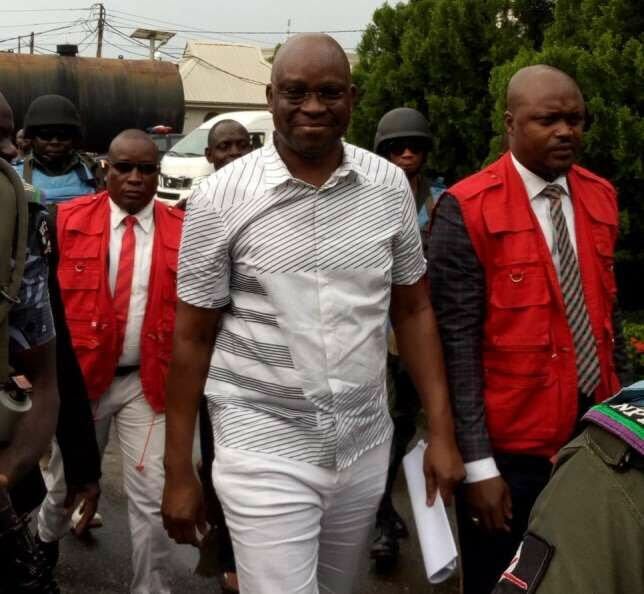 A prosecution witness, Sunday Oluseye Alade, in the ongoing trial of a former governor of Ekiti State, Ayodele Fayose, on Monday, told Justice Mojisola Olatoregun of the Federal High Court sitting in Ikoyi, Lagos how the defendant and his company received a sum of N1,219,000,000 from Zenith Bank, Akure Branch in the build-up to the state’s governorship election in 2014. During cross-examination by counsel to the first defendant, Ola Olanipekun, SAN, the witness, while explaining to the court on whose instruction he had gone to the airport, said: “My Head of Operations instructed me to go to the Airport”. Justice Olatoregun adjourned the case to May 10 and 14 for continuation of trial.